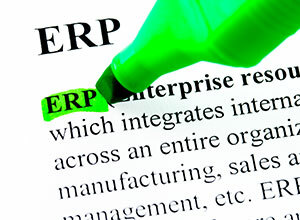 In order to keep or even set the pace of their industry, companies are likely to modernise their business IT resources with the implementation of an ERP system or an open-source market solution. Thanks to its experience in accompanying his clients in the choice of an IT solution (based or not on an ERP system), Akeance Consulting developed a 3-phase approach to achieve success in these projects. assessing the technical integration potential of the considered solutions in the existing IT framework. Phase 2 is dedicated to the development of specifications, which include functional needs (activities/processes), non-functional needs (confidentiality, integrity, availability, and data traceability), needs and constraints in terms of architecture and technical infrastructure, requested services in terms of integration, operations, and administration. The specifications document is based on our customer’s needs (business and IT) and enhanced based on the conclusions drawn in Phase 1.
develop the implementation plan for the selected solution. the description, from early on in the process, of the functional and technical specific requirements of the customer, based on its economic sector. This specific methodology will help you to implement the ERP system in the correct planning, with the correct project resources, taking into account your business specifications and your budget constraints.